There are three ways to file an administrative appeal. First, and which is used most often, is to file an appeal to be heard by the Board of Equalization. Secondly, if your property is non-homestead property, and is assessed for more than $1 million, you can have an administrative hearing before a Hearing Officer. Depending on the type of property you have, the Hearing Officer will be either a certified residential appraiser or certified general appraiser. Thirdly, you can have your appeal heard by an arbitrator. Using an arbitrator is the least used method. The results obtained through an appeal to the Board of Equalization or to a Hearing Officer are directly appealable to the Superior Court and the Superior Court then decides the proper value for your property without any regard for the value determined in the administrative hearing. 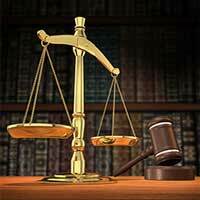 The result obtained through arbitration is final and is not appealable to the Superior Court. You can retain me to file an administrative appeal for you. The only time that an administrative appeal can be filed is within the 45 days from the date of the Notice of Annual Assessment that was sent to you by the county. There are no exceptions. The Notice of Annual Assessment is sent out each year but the timing of same is different for each county. I handle your administrative appeal in a turnkey manner. Other than providing me with certain information that I request from you regarding your property, there is nothing for you to do and you do not need to attend the hearing. Cost for me to handle your administrative appeal. You have two costs, one is my fee and the other is the cost of an independent appraiser. My fee is comprised of two parts – an administrative fee and a contingency fee based on the results I achieve for you. Both my fee and the appraisal fee are explained in detail below. Appraisal Fee: This cost varies because it depends on which appraiser we choose to work with. We select the appraiser based upon his or, her experience with both the type of property and the county in which the property is located. You approve the appraisal cost prior to incurring any expense with an appraiser. Appraisal costs vary depending on the size of the property and the complexity of the appraisal. We do not work with just one appraiser – we choose the right appraiser for your particular type of property and one who has a great track record. The county will have 1 or 2 certified commercial appraisers on staff testifying to the value of the property, so the right choice of an independent appraiser testifying on your behalf and working with Walter Hotz is of paramount importance. Being able to choose the best appraiser for your particular type of property and one very familiar with the area within which your property is located versus being saddled with an in-house appraiser – has proven invaluable in achieving the greatest reductions.